While this week was relatively calm, Lyon Esport this weekend proved to be charged with emotion. The week started with Stephano’s participation in the 112th Olimoleague, a weekly tournament on the Korean servers, thanks to his presence in South Korea due to the Olympics. The bracket was not in his favor, with a game against the only other French player, DnS, who won the BO3 2-0 and eliminated our Zerg. Weekly PlayerUnknown’s Battlegrounds leagues never stops, and our boys played a lot this week. We ended the second week of PUBG Online at the 13th place. We are also currently second of the French Obsidius League, right behind Gentside. The fourth day of Auzom Premier League ended with a top 7 in Blue lobby. Moreover, we are 13th out of 18 in the first round of qualifiers for PGL, an insufficient result to go further in the competition. In the Bravo Lobby of Global Loot League, GO’s squad ended at 16th. Meanwhile two changes were made in our Hearthstone team. Charon had to stop his career because of its incompatibility with his professional life. We thank him for everything he made for us, both as player and streamer. Then, Den joined the organization as our new coach. Former member of JudgeHype and Mantic0re, he is bringing his experience of mental training and tactical knowledge to the full roster. Chinoize won his second Baston in a row, a tournament created by GO and hosted on our Twitch channel. He also played in the Frag-o-Matic LAN in Wieze, Belgium. He went 3 to 0 during group stage and stopped at top 16. He saw the tournament as a training for future HCT Tour Stops and tried new tweaks for his decklists. 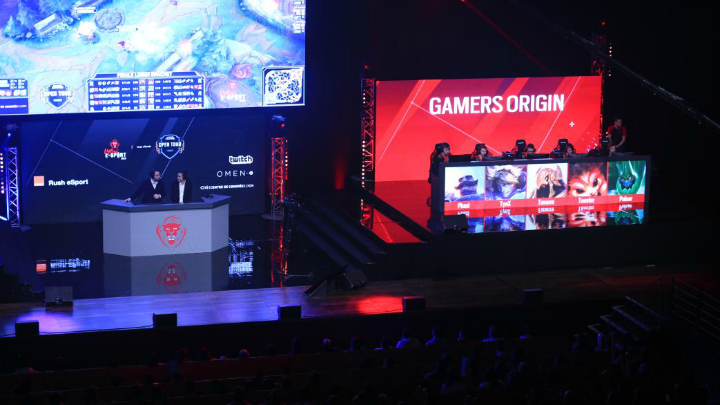 League of Legends French most important tournament was held in Lyon this weekend with the eleventh Lyon Esport. GamersOrigin won its 3 group stage matches despite several issues with the internet connection. In this particular context, we played our Round of 16 against Made in France and we dropped the game in BO1. The remontada began and we went through the loser bracket, with some tough wins against teams like Rising or Vitality Academy. During the loser bracket final against Gentside, who lost against LDLC in the winner bracket finals, we played very tense matches on stage. We dropped the first game of this BO but we won the next one. Unfortunately Gentside was better in teamfights and they won the third and last game of the match. 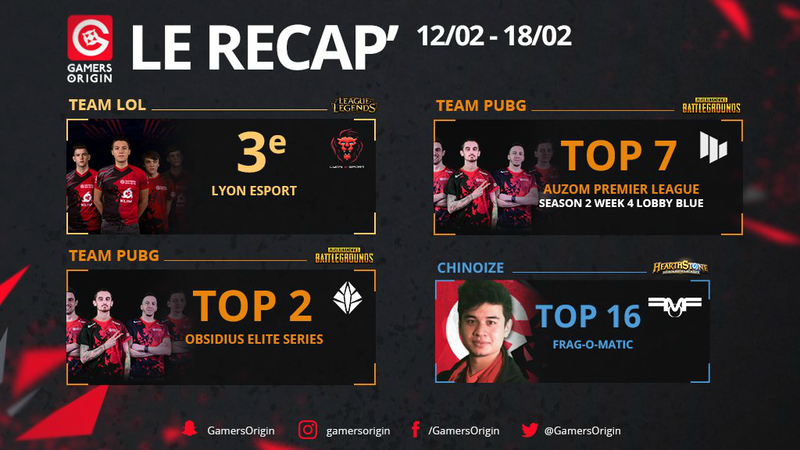 GamersOrigin achieved a third place during Lyon Esport and won 400 points for the LoL Open Tour.